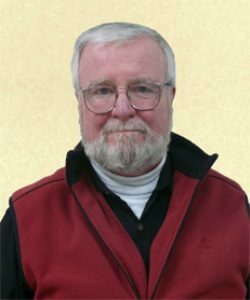 Russ Moran is the author of 14 novels. The Gray Ship is Book One of The Time Magnet series. Russ Moran also published five nonfiction books: Justice in America: How it Works—How it Fails; The APT Principle: The Business Plan That You Carry in Your Head; Boating Basics: The Boattalk Book of Boating Tips; If You’re Injured: A Consumer Guide to Personal Injury Law; How to Create More Time. He’s a lawyer and a veteran of the United States Navy. He lives on Long Island, New York, with his wife, Lynda. What inspires me is my remembering the thrill I've experienced with each of my 15 novels. I get to live with a magical experience as I see my characters taking the story where it wants to go. I write full time, but without a strict rule such as specific times to write. I look at my chores and obligations for the day and the write for at least two hours. I shoot for 2,000 words per day for a first draft. I am neither an outliner nor a panster. I'm an "in betweener." I sketch out a rough (very rough) outline on paper, but it's more like "beats." Each evening I jot down some ideas, but not in any necessary order, because they are not ordered yet. The story "unfolds" as I write it. I do talk to my characters in my head. I am often amazed at what my characters come up with. In one of my books, be Lincoln came up with a way to shorten the Civil War by three years. It's magical. Yes, I often do, and they talk to me too. But most often I watch them interacting with each other. Don't be discouraged. Convince yourself that you are in for the long run. Hugh Howey said recently that it's unfortunate If an author's first book is a big hit, because often a later book will cause readers to go back and read your older ones. My first book hit number one in three categoris on amazon and sold over 10,000 in less than a year. That was five yeaars ago. It has been a lot slower since. I don't care. I love to write, and I notice that after five years of novel writing, my books are starting to gain traction. I started with the traditional pitch and query route to try to land an agent. I had a few friends who were self published, so I decided to go that route. If you want to go the traditional way, steel yourself for rejections, which are a normal pert of the process. I would avoid small publishers, because I can't see any reason to contract with them rather than self-publish. You still have to do your own marketing, and a self-published author earns higher royalties. The field will get more and more crowded. But, as in any endeavor, excellence rises to the top. What genres do you write? : Science fiction/time travel(my favorite). Mystery thrillers, llegal thrillers.